It was after the first period of Calgary’s road tilt against Florida on January 12 when the veteran forward took a deep breath and readied for the next 20 minutes at BB&T Center. ‘Their’ team is now Brouwer’s team. The 33-year-old right wing signed a one-year contract with the Panthers on August 27. 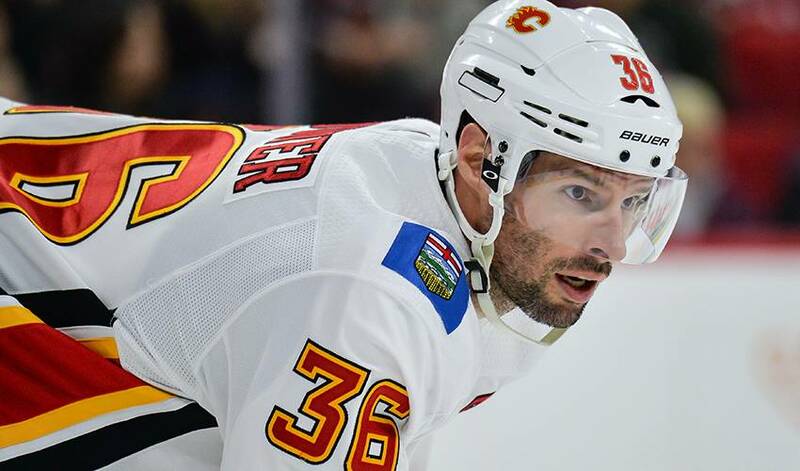 Brouwer has recorded 169 goals and 341 points over his 12-year NHL career with the Chicago Blackhawks, Washington Capitals, St. Louis Blues and Calgary Flames. He’s a three-time 20-goal scorer and won the Stanley Cup with Chicago in 2010. Despite the strong surge, the Panthers missed out on the playoffs by one point. Brouwer, who has skated in 102 NHL post-season games, knows he’s joining a team that’s eager to get back into the Stanley Cup mix. The Vancouver-born Brouwer is eager to contribute wherever he can. He’s looking to use the 763 games of NHL experience he’s racked up to help the Atlantic Division club reach its playoff goal. “With the way it ended in Calgary, it wasn’t ideal,” said Brouwer. “You get a hunger. Sitting here the last three and a half weeks or whatever it’s been, you go through a lot of emotions. There was a lot of talk with a bunch of different teams, which is always encouraging, but you’re just waiting for the right fit. Don’t expect Brouwer to don a Hawaiian shirt, sunglasses and sandals while blasting Jimmy Buffett tunes when he walks in to meet his new teammates for the first time.